Find out exactly what type of Information your prospects want to buy. Quickly and easily create excellent Information products for them. Use automation to turn prospects into customers repeatedly and consistently …even if you’re not there. Get traffic from people who are already interested in what you’re selling. The first thing you get in week one is clarity. As you know, there are only five major types of Information products that people buy. And there are only four major “selling systems” that you can use to sell them with. So in week one, we’re going to get you crystal clear on exactly what type of product you want to sell by going through SPY FOOTAGE of successful online Information businesses across multiple markets. You’ll see what people are doing in markets like health, fitness, Internet Marketing, relationship coaching, and even parenting. We’re doing this so you can get a jump start on your plan of attack …knowing exactly what types of products your prospects are already buying so you’ll be able to hit the ground running when it comes time to create them. Once you see what your prospects are already buying, now it’s time to see what marketing systems they’re already buying from. That’s why we’re going to use even more SPY FOOTAGE to play “secret shopper” and dissect the sales funnels of other successful Information businesses online. Naturally, I’ll take you behind the scenes of how my own business works …and you’ll also see a confidential breakdown of multiple funnels across all kinds of industries from dating to marketing and even health. We’re doing this so you can see what’s already working …and that will give you a head start on knowing how you want to approach your marketing! Now that we know what types of products your market is buying, and what kinds of marketing is working …it’s almost time to create your products. But not yet. Before we do, I want to give you the HOLY GRAIL of marketing. THE ESCAPE AND ARRIVAL FRAMEWORK. Finds out exactly what to put in your product so it’s irresistible. This is literally the number one reason for my success ever since I stumbled over it nearly 10 years ago, and now I’m passing it on to you. And once you use it to “reverse engineer” your prospect’s mind, now it’s time to create your products. And that’s exactly what we’ll do in week two! Master Content Compounding so you can create your products quickly and easily. Use Content Compounding to create the five product types. First, let’s talk about making sure they want it. Here’s the thing: Just about product I’ve ever created has done multiple millions in sales. And that’s across all kinds of markets. Heck, before I was a “marketing guy”, I had a product that hit $100,000.00 in sales to pet owners! Anyway, it’s NOT because I’m a great marketer. See …I’m stacking the deck in my favor (and I want you to do the same). There’s a simple process I run through before creating any product, and it’s called The Market Validation process. What traffic sources are best used to reach them? Who else is selling similar information to them? Where are those people getting their customers? Who are their most responsive buyers and prospects? Do you see what we’re doing? You’re knowing exactly what to sell …and who to sell it to …before you ever create a thing! And once you know where they money really is in your market, next it’s time to discover CONTENT COMPOUNDING so you can create products fast. CONTENT COMPOUNDING: Next, we’ll start brainstorming ideas for your products using the HOLY GRAIL of product creation methods. It’s called CONTENT COMPOUNDING and if you want to create Information products really quickly …without sacrificing quality …this is for you. Once you discover this, you’ll never feel “stuck” or “overwhelmed again because this simple method is like a secret tool that “mines” your brain for the very information your prospects want …and then turns that into a sellable product quickly. Content Compounding practically outlines your marketing campaigns for you because it almost instantly puts you in your prospects head …knowing exactly what he needs to see and hear in order to say, “Yes! Sold!”. Now, once you know how Content Compounding works …now it’s time to use it to create exactly the type of products your market wants to buy. As you know, there are only five main types of products that sell in the Information Business. Liquidators (Inexpensive reports and e-books). Bread And Butter (Usually an e-book with videos or audios included, slightly more expensive). Now. That’s a lot of different products. The good news is, most people only need one of them. So you just choose the type that’s right for you and focus on that! Regardless of which type you use, Content Compounding will have it ready to sell in no time. Let’s talk about getting you PAID. In week two, we’re going to use Content Compounding to get your products made so you can sell them. In week three, we’re going to create the automated systems that do the selling for you! As you know, there are four main selling systems to choose from for any Information Business. Linear. A great example of this is an automated product launch or an automated webinar. Ascending. This is when you have multiple products, and you offer them to prospects from least expensive to most expensive.This model came from Direct Mail and it’s very effective. Descending. This is when you have multiple products and you start with your most expensive one first …and if they don’t take it, you start offering them your less expensive products. Cycling. This is when you use multiple selling systems to sell the same product (or multiple products). It can be used with Ascending, Descending, or Linear. YES. That looks like a LOT of different stuff to choose from. But here’s the thing. You only need ONE. (In all likelihood, you’l use the Linear system. This is what most people choose). Advanced Webinar Training. Ever wanted to sell on webinars? Now you can! You’re getting my entire six-step system for using Webinars to generate sales, no matter what webinar system you use.It works with live webinars, hybrid webinars, and even automated webinars. Your Long Form Sales Letters. Now – let me make something clear here. There’s no such thing (in my opinion) as some magical “fill-in-the-blanks” system for creating sales letters, VSLs, or webinars that work. But there is a process …and there IS a framework. And that’s what I’m giving YOU. My personal framework for creating video sales letters, webinar pitches, and long form sales letters. You’re even getting the slides for the framework so you can watch me teach you, pull up your Framework slides, andcreate your pitch right there on the spot. No more staring at a blank page wondering what to say …no more overwhelm …not you can follow my lead and let me walk you through it step by step. Now it’s time to take what we’ve build and tie it all together into a well oiled selling machine. And I’ve made it super easy for you. In week four, we’re building your web pages. Now, naturally I’m showing you how to do it …but I’m also GIVING YOU THE WEB PAGES! Now, not only am I going to show you how to create these …I’m also just flat out giving you the templates for each one! Take this page for example. I built this page myself using a template I designed. I’m (literally) giving you the exact same template I designed so you can take what’s working for me and “transplant” it into your business as fast as possible. You’re getting video opt in pages, video sales pages, pages for launch videos, long form sales pages, simple opt in pages, you name it. Every design that I’m using personally is yours …and can be installed on a WordPress site with a click of a button and some super-cheap software. This way – all the “tech stuff” is reduced to just filling in the blanks on pre-tested designs that are working really, really well. You will easily be able to create all of your pages in a day. Now that you’ve tied everything together, it’s time to get traffic. But not just any traffic. They already want (and can afford) your type of Information. They’re pre-disposed to want to buy it from YOU. And that’s exactly who we’re going to be targeting in week five. First, we’re using Facebook ads because that’s the fastest, often the cheapest, and always the most effective type of traffic we can start with. If you think your audience isn’t on Facebook, they are. During week five you’ll see exactly how to find your customers …even if you’re selling something to people who would never be on Facebook! There’s all manner of ways you can get traffic from Facebook. Long Form Video Ads: I call these “pre-sell” ads because they sell your prospect on buying from you …before the prospect ever goes to your website!On average, I’m spending about $1,500 per DAY on these types of ads, and they’re making me a fortune.They’re laser targeted, they work, and people love them. Article Format Ads: These are long-copy ads that are getting me an average 400% return on my advertising spend each month.This means that for every dollar I spend on them, they’re bringing me four dollars back …all in the same month!But I’m not just showing you how to do it …I’m also giving you TEMPLATES! For example – Long Form Video ads have a five-part framework that’s easy to follow. I give you the framework and a complete swipe file of my best ad. Article ads have a seven part framework and I give it to you along with a swipe file that just walks you through exactly what to say. Oh! And the ads that are working the best? They’re the ones that I made with my PHONE! No kidding.Enroll During The Grand Opening And Save $1,000.00! You’re on this page because you’re part of the Grand Opening for this class. And to celebrate, I’m knocking $1,000.00 off the retail price of this course for you. It’s simple. This is a five week class. Take the whole thing. Download everything you can download. Put it to work. Create a product, build your system, make some sales …and have some fun! If, at the end of those five weeks, you don’t think it was the single best investment you’ve ever made …let me know. I’ll refund 100% of what you paid, no questions asked. And if that’s not enough to have you ready to get started, how ’bout some good old fashioned bribery? So here’s what I’ve done for you. Three Graduation Gifts Worth Over $4,900! Graduation Gift #1: Mass Control 2.0 Shipped Straight To Your Door! This course is still regarded as the number one “must have” weapon in any marketer’s arsenal. It reveals how I systematically created some of the highest-grossing sales promotions in the history of Internet Marketing…and lays out the complete methods in an easy-to-follow step by step system. It’s no longer available anywhere …at any price, but it’s yours as a graduation gift when you take me up on this discount. And yes, I’m mailing it you you. Graduation Gift #2: Automation Jumpstart! This is a brand new, unreleased course that I’ll be selling for $2,997. In it, I teach you how to completely automate three of my most profitable campaigns. The Automated Product Launch. What if you could have the rush, excitement, and sales from a product launch …all the time?YOU CAN. When you automate a product launch, that’s exactly what happened.I created the automated launch system I’m teaching you at the beginning of last year.It generated $504,386 in sales for me over a 12 month period …hands free.You want this in your arsenal. This one’s not for sale at any price …and it never will be. I help facilitate a Mastermind that’s between $25,000 and $30,000 per member (depending on when they join). The minimum requirements for membership are a seven figure business …and that just gets you an application. 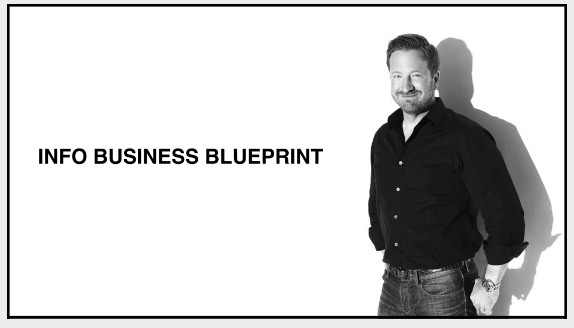 Anyway, the Big Money Blueprint process is something I only teach those members …until now. The Big Money Blueprint process let’s know know exactly how you’re going to hit (or exceed) your income targets over the next 12 months. The reason why this is important is because if you have a solid plan for the next 12 months …and you stick to it, chances are, you’ll hit your goal. But distraction is the enemy of the entrepreneur …so if you don’t have it, you’re hosed. Now – the real issue isn’t coming up with a plan. That’s easy. The real issue is figuring out what to create and promote …at what time …in what order …for maximum revenue. And that’s what the Big Money Blueprint does. Once you have it, you’re unstoppable. And like I said – this isn’t for sale. Free as a graduation gift for finishing this class. You know that timer at the top of the page? When it hits “zero”, this page will expire …and no more discount …and no more gifts. I’m sending you Mass Control 2.0 in the mail, and I have a limited amount of copies. And when I run out, I don’t want print more because I don’t want them getting “backed up” …which will lead to shipping issues …which will lead to people not getting their stuff on time …which is a hassle. So I’m limiting it. When they’re gone 9or when the timer hits zero), they’re gone. Oh! Third reason: I’m selling the Automation Jumpstart for $2997 as soon as I’m done creating the marketing for it. I don’t think I told you this but recently, just over 21,000 people on my list took a survey where I asked them what they wanted to learn. Eighty Six Percent of them told me they wanted to learn advanced automation. So that’s why I created that product …and that’s why I’m going to STOP giving it away as a gift and start selling it for $2,997! With that said, click the button below to enroll right now!